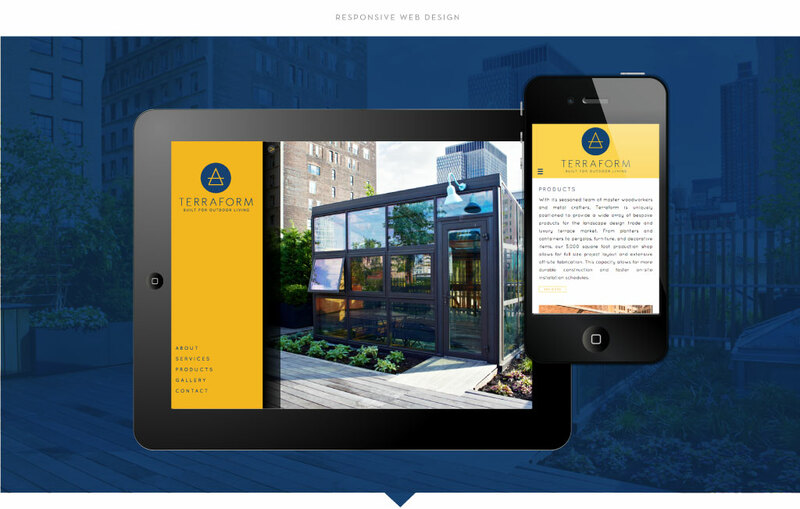 From name and tagline exploration to logo and web design, M studio created a comprehensive brand identity for Terraform in New York City, a luxury landscape and terrace design business with a largely Manhattan-based audience. Brand development began with name and tagline exploration. 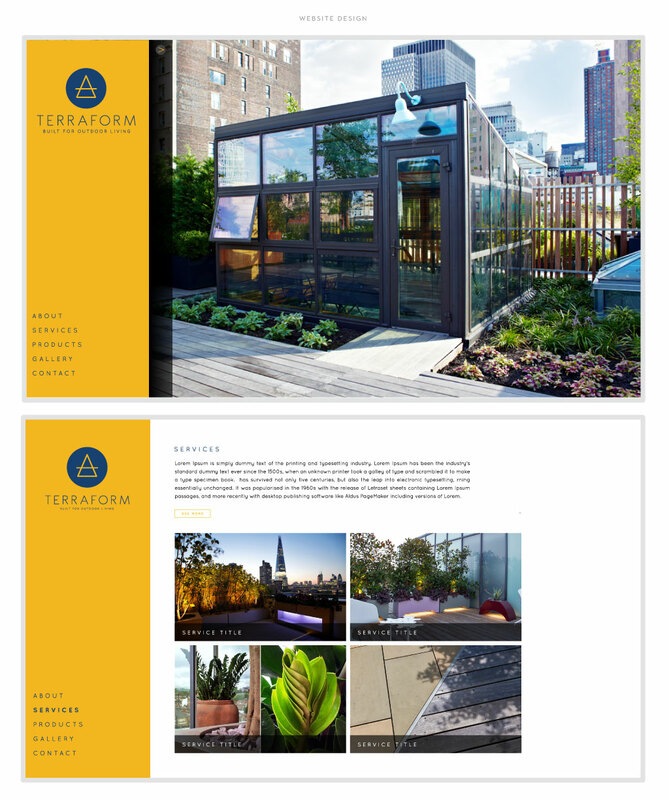 M studio’s copywriters developed the name Terraform, derived from “terra,” meaning Earth and “form” to reference the process of building upon city decks and terraces. 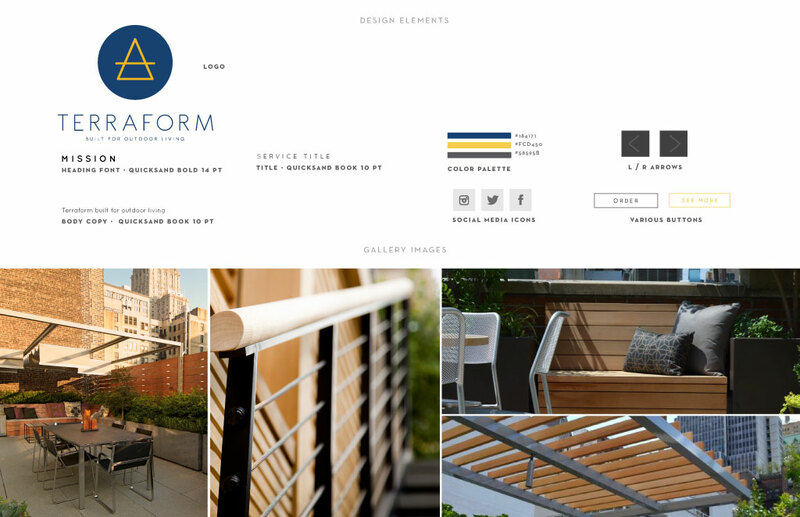 We also developed the tagline “Built for Outdoor Living” as a strong, succinct supporter of the name. 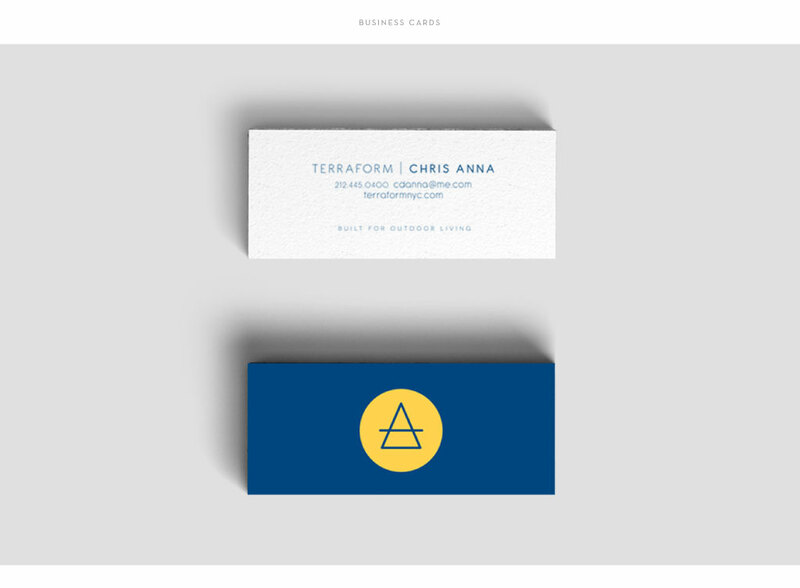 Moving forward with custom logo design, M studio’s graphic designers implemented the ancient icon for earth, which is used as the “A” in Terraform. For companies such as this, it is important to have a portfolio readily available for prospective clients. M studio developed a responsive web design whose aesthetic reflects the company’s personality.